Are smart homes actually safe? In 2017, online retail giant Amazon revealed its plans to introduce a smart home system that allows couriers to unlock its customer’s doors and leave packages inside. The announcement raised numerous concerns over security and here, Maria Torrisi at home automation provider JMartans Automation, explains how smart technologies can make homes safer. Basic smart home technology has been around for years, but it has only recently caught up with the concept of the Internet of Things. Now, the global market for home automation is expanding at an unprecedented rate and is forecasted to reach a value of more than $53 billion by 2022. From smart lighting to smart thermostats, home automation can allow for considerable savings as the technology helps to ensure that our homes aren’t overspending on unnecessary energy. In addition to living greener, smart homes also allow homeowners to monitor activities in real-time, whether they are in the house or on the other side of the planet. This is because home automation systems allow users to connect all their gadgets, like motion detectors and surveillance cameras, to a laptop or mobile device. Many of the fears surrounding home automation features, like Amazon’s smart locks, are based on concerns of making our homes vulnerable to security threats. Like anything that is connected to the Internet, this is of course a risk, but how likely is it? 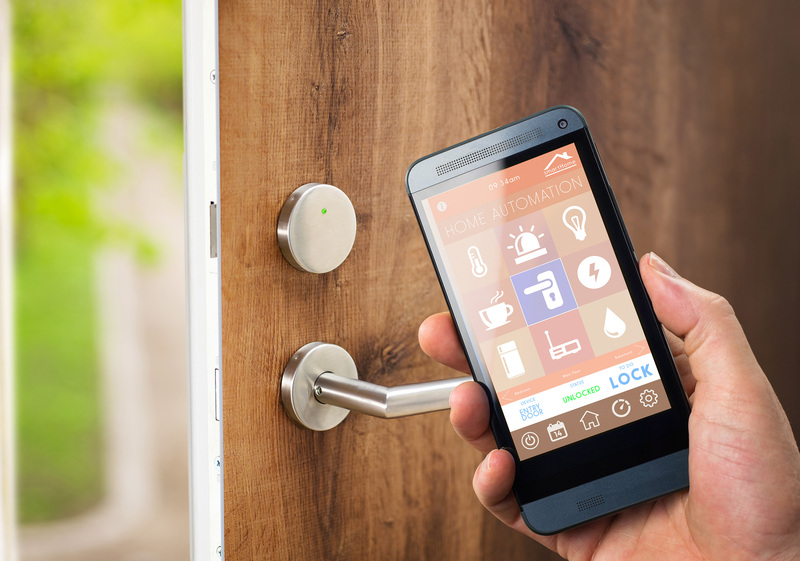 If the right vulnerabilities surface at the right time, then yes, a dedicated hacker might be able to open a home’s smart lock. It would be fair to say, however, that this is a much more difficult task than someone breaking into a house the traditional way, such as with a crowbar. To mitigate the chances of a cyberattack, homeowners should ensure their smart devices have the latest up-to-date software installed. Homeowners should also make sure the device has not been tampered with physically and limit who can have physical access to it. More importantly, homeowners should consider where they purchase their automation systems from and choose a reliable supplier. Purchasing previously owned gadgets and equipment puts homeowners at risk of integrating devices that have been tampered with. Developments like the Amazon smart key aim to make our lives easier and give us reassurance about the safety of our parcels. Similarly, home automation systems can not only make our homes more comfortable and cheaper to sustain, but also offer homeowners an extra layer of security.